Thanksgiving is a day for being grateful for our blessings and remembering the early beginnings of our wonderful country. It’s a day steeped in traditions from family to family but also the tradition of gathering for a shared meal as a nation. While it’s wonderful to celebrate our traditions, sometimes traditions become… boring. Our office came up with a great way to bring a new twist to the traditional Thanksgiving dinner: a Mashed Potato Bar! Rather than having just the customary mashed potatoes in a bowl passed round the table from guest to guest, have your mashed potatoes served along side mix-ins! Provide several different options to allow your guests to customize their mashed potatoes such as bacon, sour cream and chives, dijon mustard, etc. However, remember to think outside the box! Part of the fun of a mashed potato bar is seeing how far you can take your culinary creativity while still creating a delicious meal. Create a competition between your family members to see who can come up with the most delicious mashed potato combination. Or the worst! Take smaller portions of potatoes and try several different styles to find your favorite. Increase the fun: have no rules or limits! 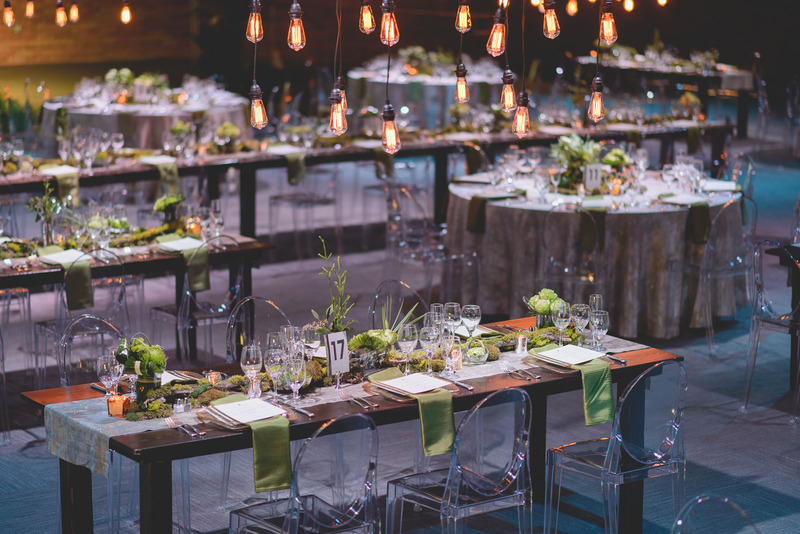 In our office, we found that our Event Designer Chris and Event Coordinator Bethany both fell in love with Curry Mashed Potatoes. 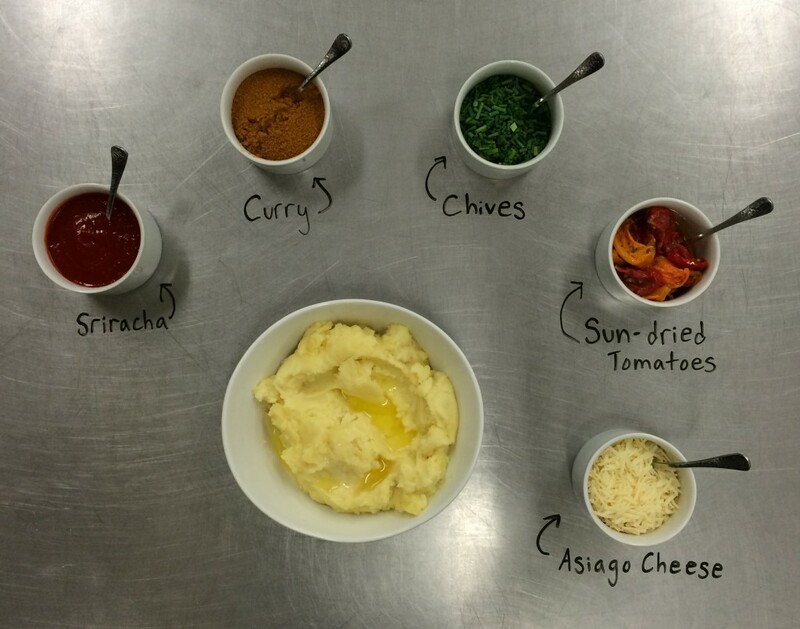 Katie, our Brand Manager, customized her mashed potatoes with shredded asiago cheese and sun-dried tomatoes. It was roundly agreed that it would be an adventurous idea to try Sriracha seasoned mashed potatoes. Dare to try it our for us! Have a Happy Thanksgiving from Lux Catering and Events!